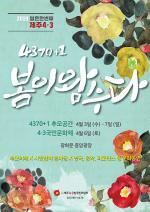 ▲ Chinese companies invested in Jeju Health Care Town. However, suspension of investment made it difficult to complete the construction. Not long ago, there was conflict surrounding the expansion of a road in Jeju. A plan was implemented to expand the road to four lanes after the growing number of tourists caused local residents to demand the road expansion. 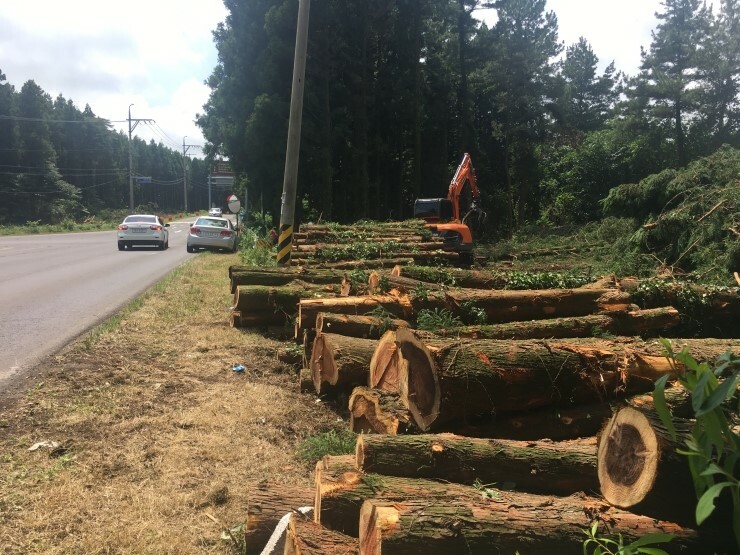 However, problems began after the media broadcasted pictures of Jeju's forest with a huge deserted space in the middle due to logging. It looked as if a barber had cut off one side of a person’s hair by accident. This caused public opposition to the project to intensify which eventually led to the suspension of construction. ▲ Bijarim, the place where logging started for the purpose of road expansion. However, construction has come to halt. The forest is called Bijarim and it is full of cedar trees. Those who remember how beautiful Bijarim was say that there is no place like it nationwide. They expressed sorrow at the loss of the forest. 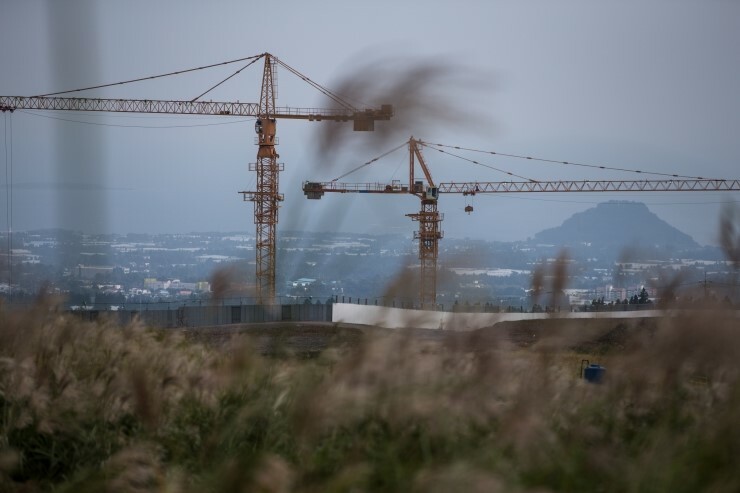 After the surge in public sentiment, the Jeju provincial administration announced the halt of construction until an alternative plan is made. Jeju's rapid change started in 2002. The biggest change in the history of the Korean economy was the financial crisis that came in 1997. The foreign exchange crisis from Southeast Asian countries such as Thailand and Malaysia hit Korea by autumn of that year. The crisis was called the Asian Financial Crisis or the IMF crisis. The crisis was a national disaster that changed everything. ▲Jeju’s real estate prices skyrocketed due to the activation of foreign investments, and the increase of tourists. Jeju was no exception. Its main industries of citrus and tourism relied on Koreans and were not guaranteed a positive future in the rapidly changing economic environment. This is the reason why Jeju began trying to transform itself into a Free International City. A Free International City is one that is "specifically designated to allow the movement of people, goods, and capital to be free and as convenient as possible." A Free International City is a special area that provides great convenience for business activities such as trading, tourism, and other functions. The plan, which began in 1998, saw the establishment of the Jeju Free International City Act in January 2002. A special law on the installation of Jeju Special Self-governing Province won votes at a cabinet meeting in 2005. Since then, Jeju Island has shown rapid growth due to the huge influx of foreign capital and tourists. At least until about 2015. 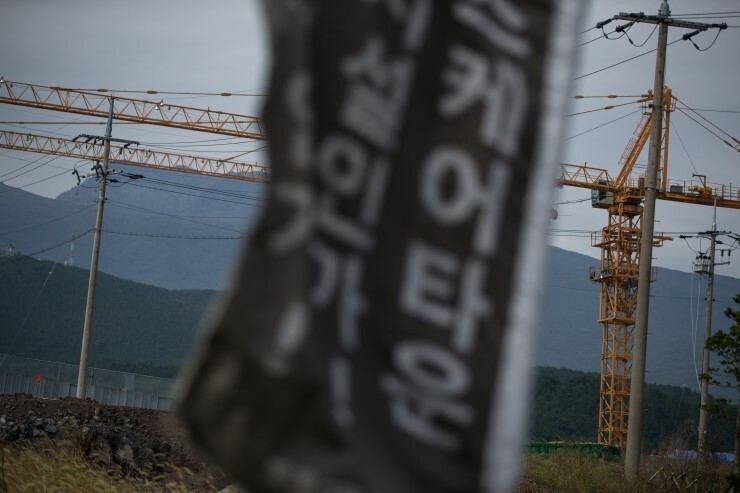 ▲ Banners of protest against the construction of Jeju Health Care Town that were held nearby the construction sites. Jeju Health Care Town plans to establish the first foreign investment hospital in Korea, called Greenland International Hospital, and introduce recreational and tourism facilities. It is pushing ahead with the Jeju Free International City Development Center (JDC) with more than 1 trillion won, invested by a Chinese realty firm called Greenland Group. Profit-making hospitals are open to investment under the “Southeast and Northeast Asia Healthcare Hub” plan which was initiated during Roh Moo-hyun’s administration and developed by the administrations of Lee Myung-bak and Park Geun-hye. At the core of this plan was Jeju Health Care Town. Chinese medical tourists visiting Jeju Island were targeted and its first phase – the building of 400 households at the membership resort – was completed in 2014. The second phase is the completion of the remaining facilities, including hospitals and hotels. However, in June last year warning lights began to appear. First of all, the Greenland Group stopped making payments to the construction company. Then, after construction was completed in July last year, the hospital had its permit application rejected. This was after Jeju Governor Won Hee-ryong decided to take a public opinion survey on the hospital, an idea from a civic group who opposed the establishment of the hospital. When the governor made this decision it was three months before the June local government elections and some say that the decision was politically motivated. Whatever the reason, the result is that the hospital could not open. According to the hospital, it is currently losing about 800 million won a month. The hospital has also already hired much of its staff. If after the public opinion survey the hospital is not allowed to open, it is reported that it will file a lawsuit for damages worth 100 billion won. Meanwhile, the first foreign capital investment project for Jeju Free International City, the Yerae Recreational Complex, has been confronted by a huge lawsuit and administrative litigation. The lawsuit is due to the court's judgment that it is wrong to authorize a business whose purpose is to pursue profit to a resort with a public nature. It stated that the approval of the urban planning of the old residential complex was invalid, and the approval of land expropriation based on it was also invalid. Later, the court also accepted the application of landowner Kang to suspend construction work. Since then, the project has been on the decline without a solution. As this is a joint venture between government agencies and state-run companies, which focus only on development and investment, the debate over who is responsible is intensifying. Side effects of the development, such as environmental issues, conflicts of opinions among residents over development benefits, inflow of overseas capital as well as money from wealthy people on the mainland and the resulting steep rise in real estate prices have been a problem for Jeju. While growth continued, there were only small voices raising the issue of side effects. However, due to the North Korea nuclear issue, the U.S. started the deployment of the THAAD nuclear defense system in Korea. The backlash from China was strong. It began to put economic pressure on Korea to withdraw the THAAD system. Part of this was an unofficial ban on tourism to the country, a policy that was an enormous blow to Jeju. A reduction in the inflow of Chinese money began. 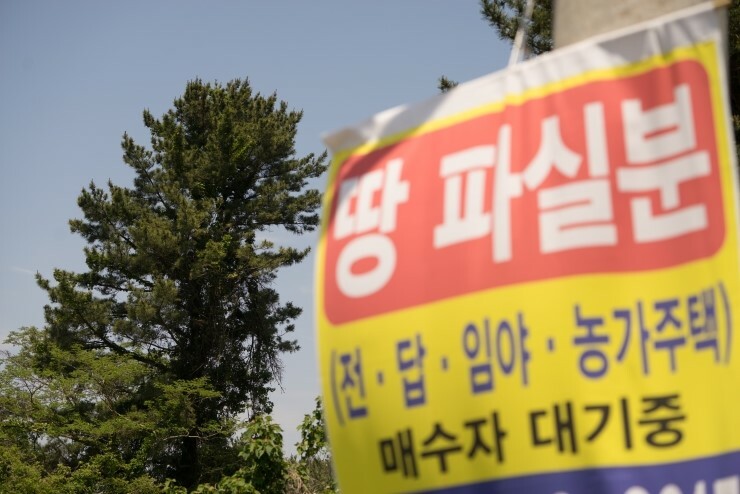 While the two major pillars that supported Jeju's growth are shaking, there also appears to be a confusion about the policy the local government is following. South Korea holds an election every four years to choose the head of the local government and the council. There have been five elections and four provincial governors since Jeju was designated a Free International City. Like many countries around the world, in Korea policies change depending on the leader of the administration. 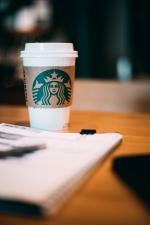 Four years is not enough time to start and finish a big business. It is inevitable that a project initiated by Governor A will be finished by Governor B. The side effects of this is a "window dressing” policy proposal process that has caused many problems throughout the South Korean society. In the case of the Greenland International Hospital, the belated public opinion survey appears to be a rebuttal to the lack of sufficient discussion at the project review stage. As the order was reversed, the damage is being entirely returned to the investors and communities. The cause of reckless development is not the development itself but the lack of long-term vision that inevitably arises from plans that focus only on purpose and effect. There is no growth without a conflict. Development which only focuses on the mistakes caused by growth should stop. Even if it is slow, stepping one step forward with a solid base is the only way to give Jeju a promising future.